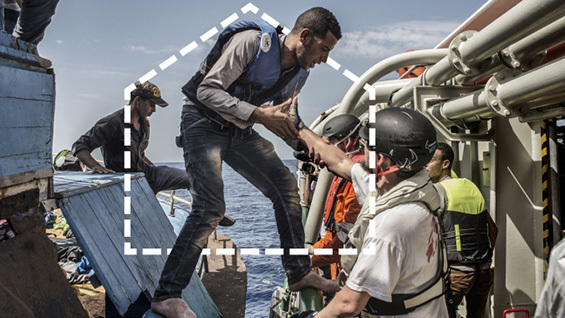 Doctors Without Borders / Médecins Sans Frontières (MSF) on September 21 for a free panel discussion at Cooper Union in New York City focusing on potential solutions to the global refugee crisis—what is being done, and what is not. Just two days earlier, on September 19, world leaders will convene at the United Nations General Assembly for a special session focused on the crisis. On September 20, President Obama will convene a similar meeting at the White House. What will be determined at these meetings? What policies will or will not be enacted? Will anything be done to provide some relief to the more than 21 million refugees worldwide, to say nothing of the 40 million-plus internally displaced people in the world, who together form the largest population of displaced people the planet has seen since World War II. With journalist Ann Curry moderating, Karen Koning AbuZayd, Special Advisor to the UN Summit on Migrants and Refugees; Jason Cone, executive director of MSF-USA; and Hans Van de Weerd, the International Rescue Committee’s deputy director of US programs, will discuss the solutions being offered and the many challenges ahead for people who, through no fault of their own, have been forced from home. Hans Van de Weerd, Vice President for US programs at the International Rescue Committee (IRC). Moderated by journalist Ann Curry. This event is part of Forced from Home, a free interactive exhibition designed to raise public awareness of the world’s 60 million refugees presented by Doctors Without Borders.